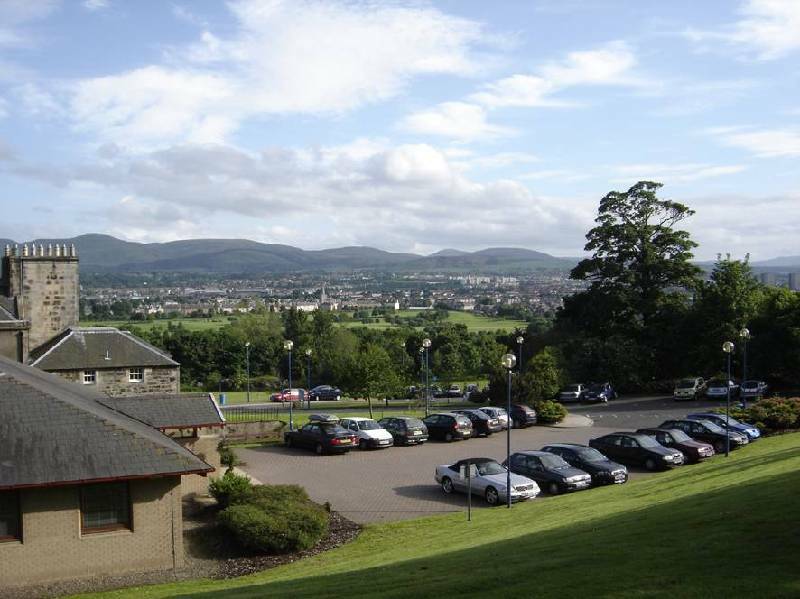 View from the school with the Pentland Hills in the background and Carricknowe Golf Course in the middle distance. The lawns at the side of the school are now car parking. Do you remember when they were used for the Garden Fates?